A previously undisclosed Iraqi government tally obtained by The Associated Press shows that at least 87,215 Iraqis have been killed in violence since 2005. An in-depth AP review shows the total for the entire war exceeds 110,000 Iraqis. That figure is based on the government tally and counts of casualties from earlier years from hospital sources and media reports. TVNL Comment: Operation Iraqi Murder! 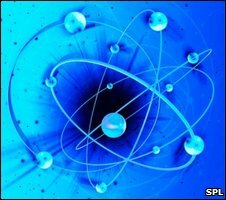 A molecule that until now existed only in theory has finally been made. Known as a Rydberg molecule, it is formed through an elusive and extremely weak chemical bond between two atoms. The new type of bonding, reported in Nature, occurs because one of the two atoms in the molecule has an electron very far from its nucleus or centre. Veterans groups and conservatives roared last week when news broke that the FBI was targeting veterans in a broad probe of extremist groups. But little noise was made in December, when the Bush administration quietly granted the FBI wide-ranging authority to investigate individuals or groups, regardless of whether they are suspected of criminal activity. A story in today's Washington Post (April 22, 2009) suggests DOJ may drop its espionage case against AIPAC. I find this incredulous, outrageous, and a blatant application of double standards. The timing of this story after the revelation that Rep. Jane Harman was recorded speaking to an "agent" regarding a quid pro quo interference in this case in exchange for AIPAC’s support to become Chairwoman of the House's Intel Committee is certainly troubling and smells of a deal to prevent further embarrassing revelations. This may explain why Rep. Nancy Pelosi blocked her chairmanship of the committee. "It was the middle of the night this past winter when the door of my house exploded out of its foundation. My family and I were awakened by the sheer noise of the explosion. My pregnant wife, my two daughters, my son and I stepped out of the house into our yard. As we approached the destroyed door of our yard, the intruding US soldiers had already entered the compound and they started firing at us. The bullets hit everyone in my family including my wife and our unborn child, two daughters, my son and I; everyone was killed except one of my daughters and I. After the shooting, the US forces ordered vicious attack dogs to drag the bodies of my family members out of the yard into the ally outside. I was also bitten by the dogs after I shielded my surviving daughter, who was also badly injured by an incoming US round. So, when I covered my daughter with my body from the attacks of these vicious dogs, the US troops ordered these vicious beasts to attack me as well. 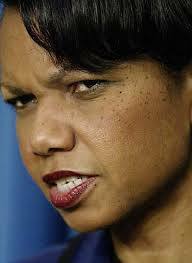 Condoleezza Rice, John D. Ashcroft and other top Bush administration officials reviewed and approved as early as the summer of 2002 the CIA's use of harsh interrogation methods on detainees at secret prisons, including waterboarding that Attorney General Eric H. Holder Jr. has described as illegal torture, according to a detailed timeline declassified by Holder at the request of the Senate Intelligence Committee. 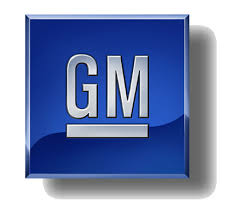 Two people briefed on the plan say General Motors Corp. will close most of its U.S. factories for up to nine weeks this summer because of slumping sales and growing inventories of unsold vehicles. A landmark congressional report released today sheds new light on the coordination among the Bush White House and other high level government officials in the creation and implementation of torture policies. The report was released by Senate Armed Services Committee Chairman Carl Levin (D-MI) and Ranking Member John McCain (R-AZ) after being declassified by the government and is a result of the committee’s two-year long investigation into the Department of Defense’s (DOD) role in the treatment of detainees in U.S. custody.